Comfortable cotton fabric sports a slightly textured design. Triangle gusset reinforcement for added durability. 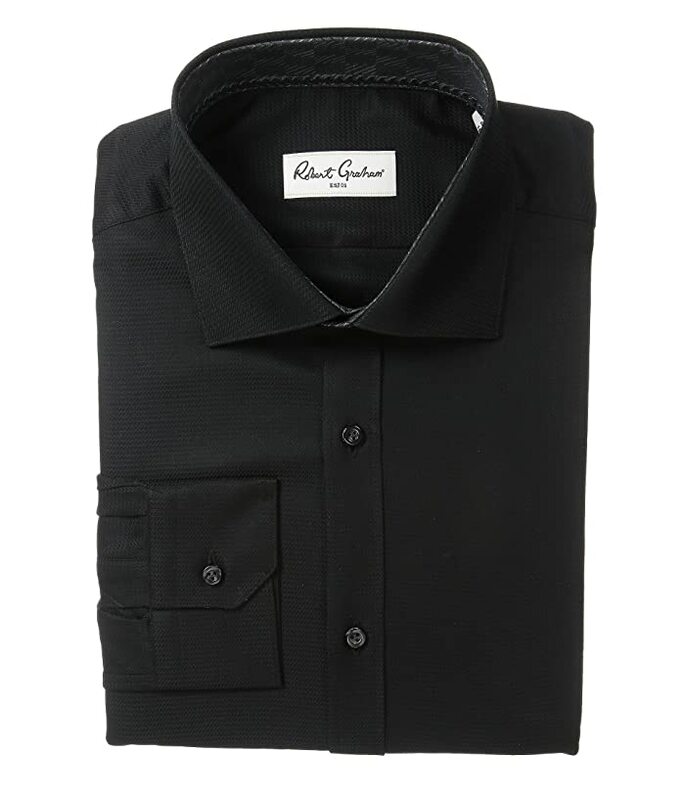 Graduate sleeve length dress shirt. "Knowledge Wisdom Truth" embroidery at placket bottom with a snap for the last button. Single-button, mitered cuffs can be worn both ways for cuff link use.